“If your joints and your bones aren’t strong you’re going to get frail. Frailty is the main reason you die too young. A lot of us don’t recognize it…they may thinks it’s cancer or heart disease. But if your bones aren’t strong you can’t weather the storm. The super supplement from bones comes from South America. Not just the continent, it comes from the marine layer around the continent. As you age, weak and brittle bones lead to fractures and this can lead to death. 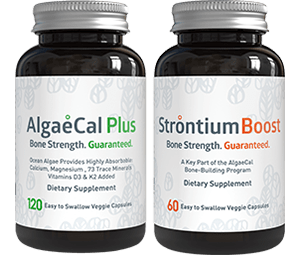 But super supplement AlgaeCal has actually turned the tides on your bone loss. Most calcium supplements are made from rocks. AlgaeCal is made from a marine plant found on the beaches of South America. This sea algae is loaded with calcium your body absorbs better. 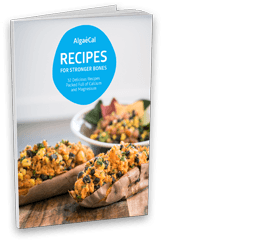 Stunningly, studies show that AlgaeCal increased bone density after 6-months of use. So, I actually adore this supplement. The chances are the calcium supplements you’re taking will either constipate you or cause gas. The thing is…this super supplement is less likely to cause those side effects because it’s an organic, plant based calcium. It comes to you the way your body wants to have it. Spinach is another good example. Woman : Is it really that easy? Honestly, one pill by itself won’t take you there. These are reinforcements. These are a belt and suspenders.